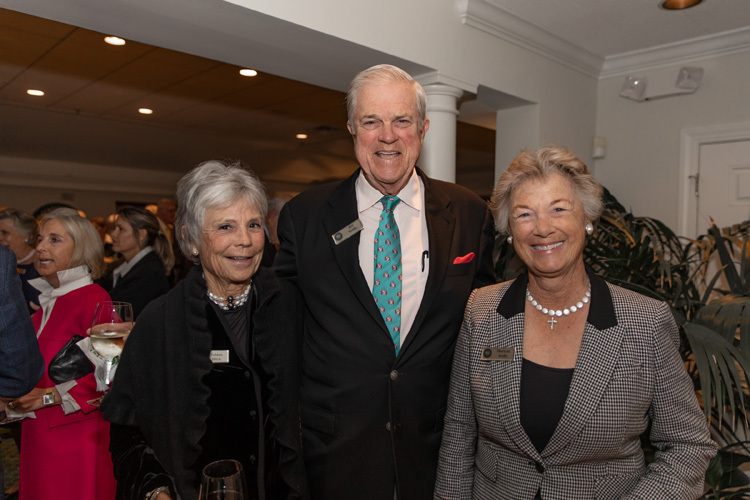 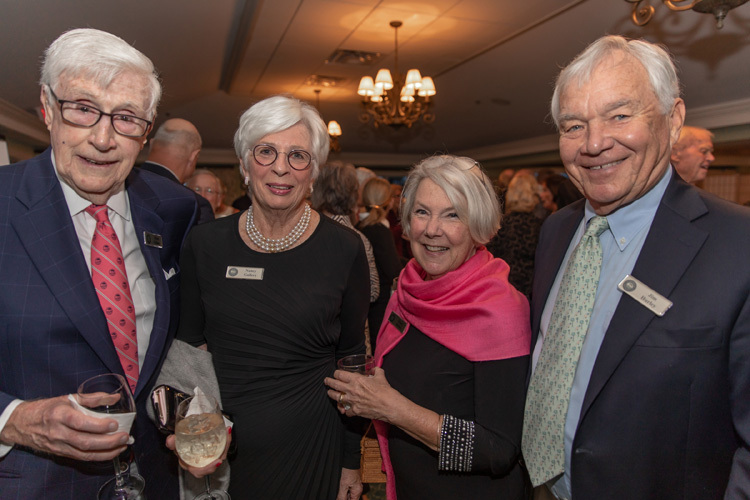 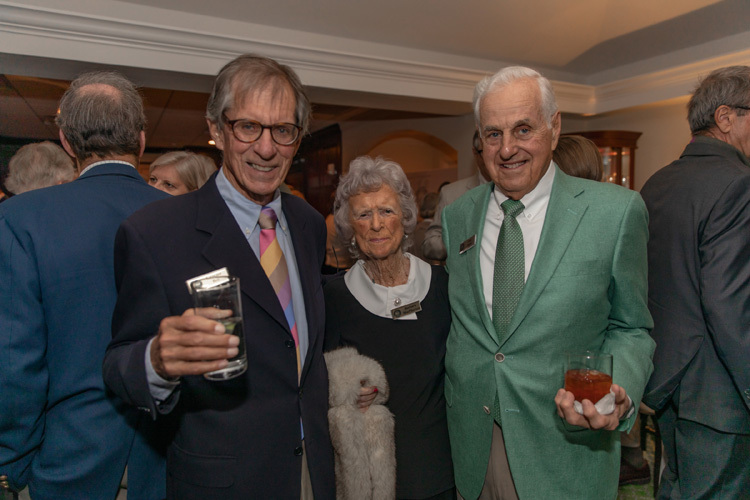 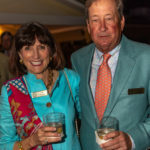 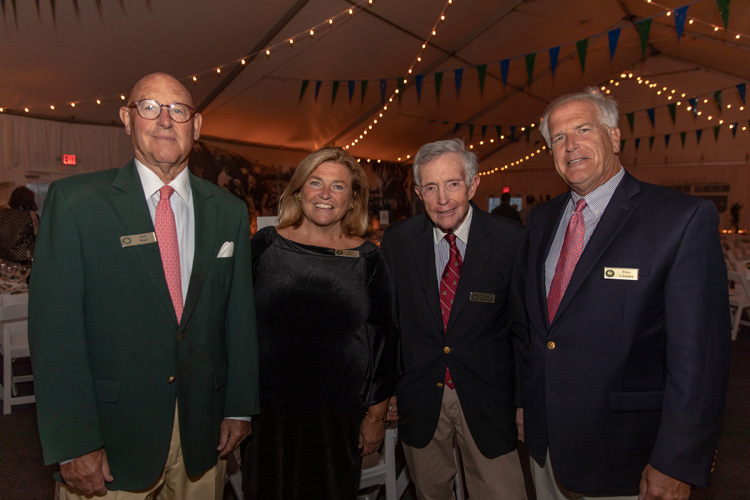 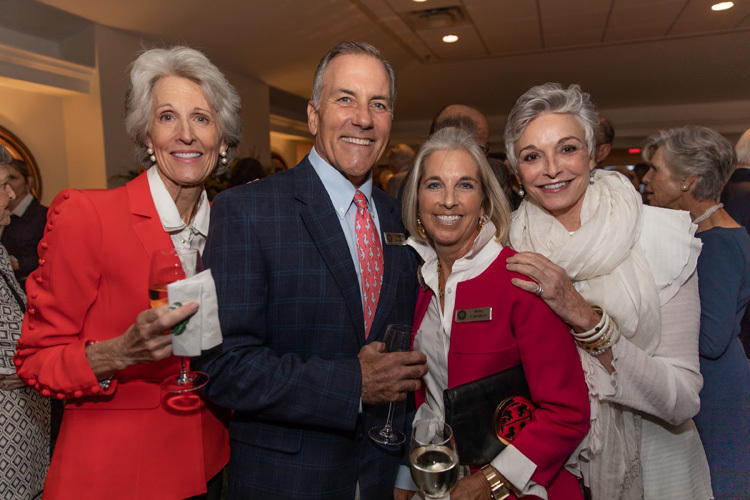 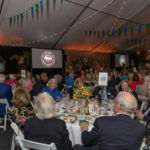 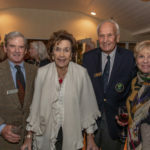 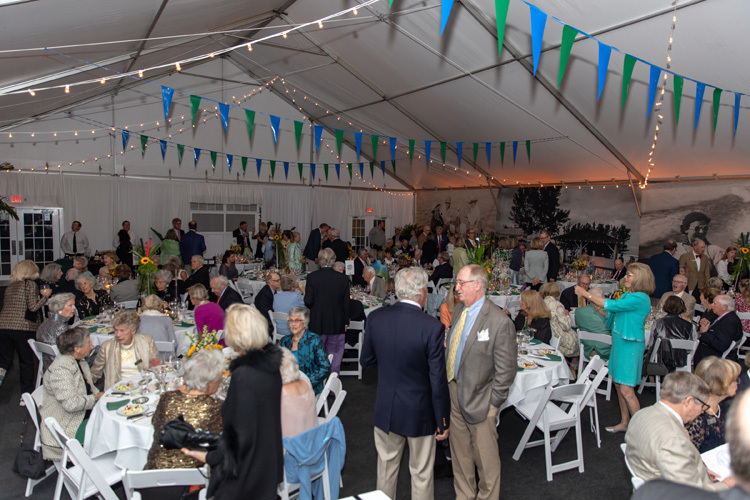 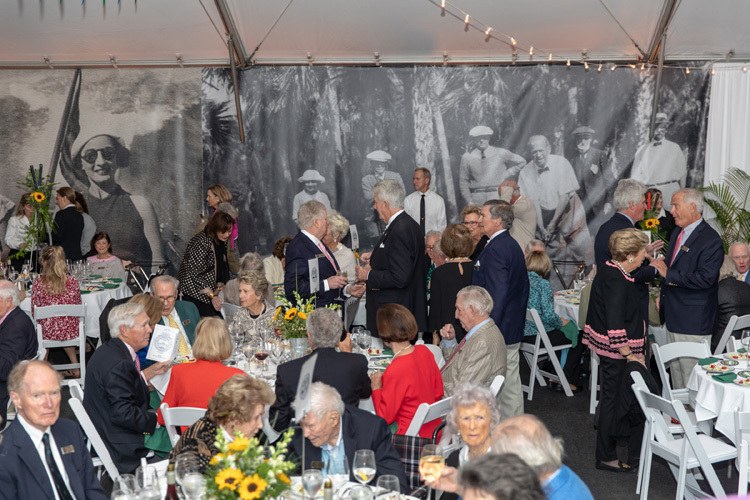 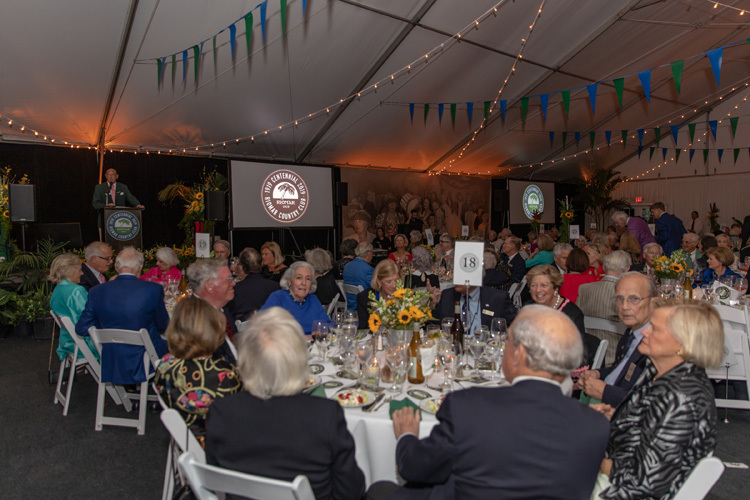 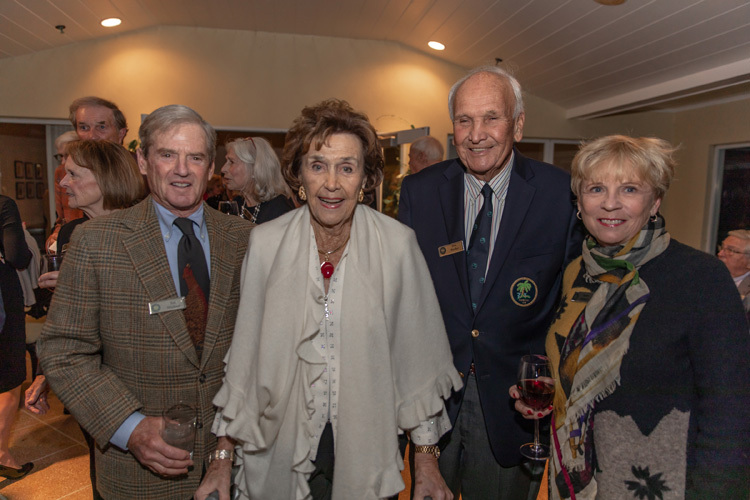 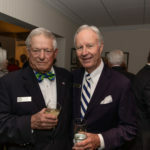 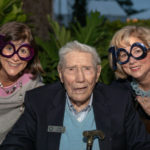 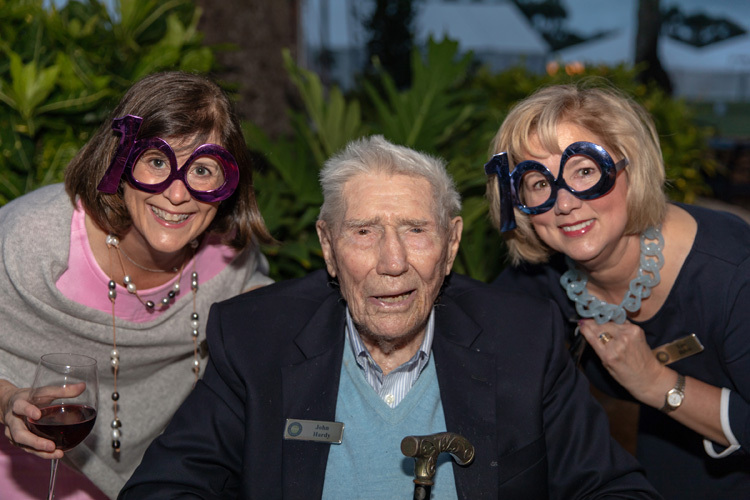 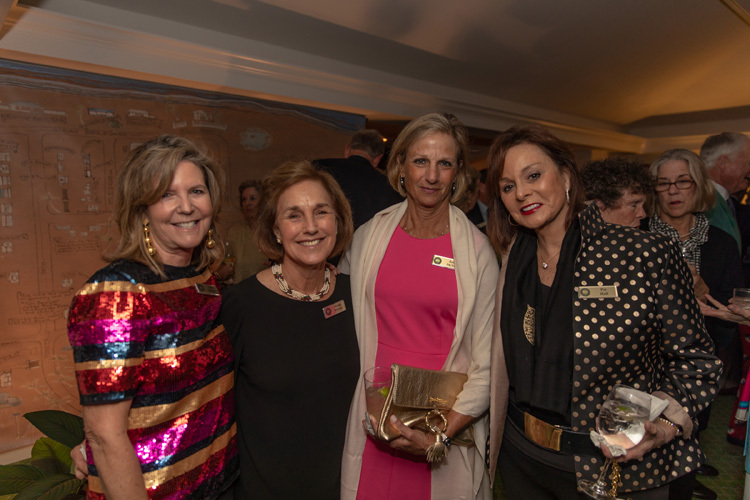 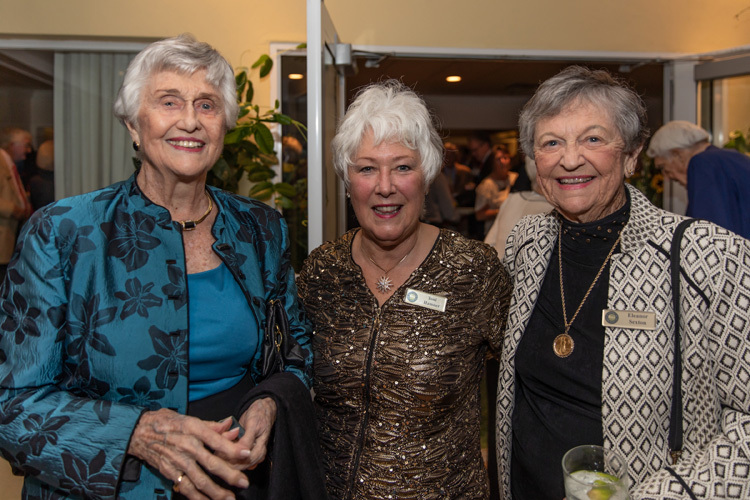 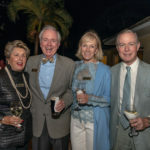 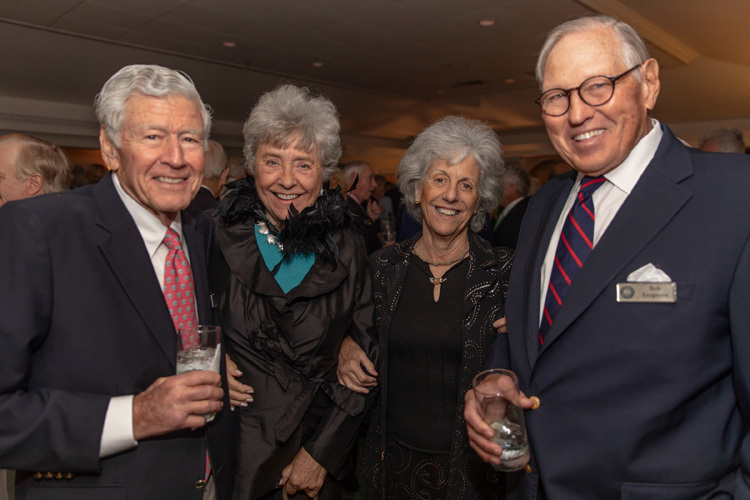 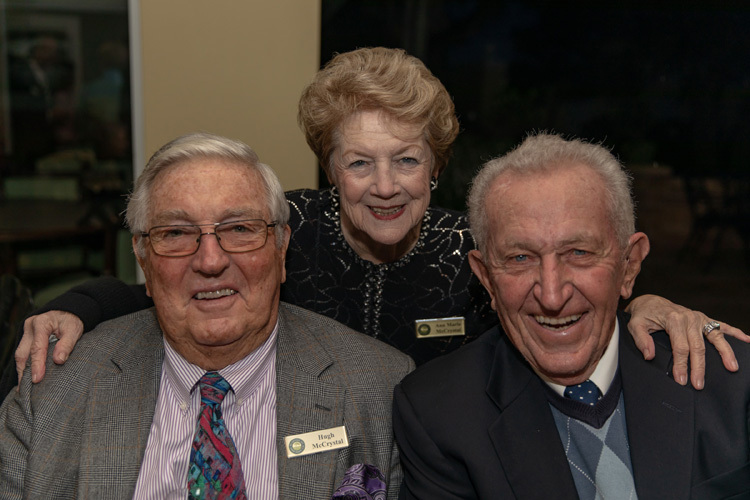 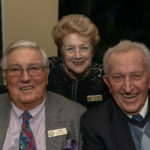 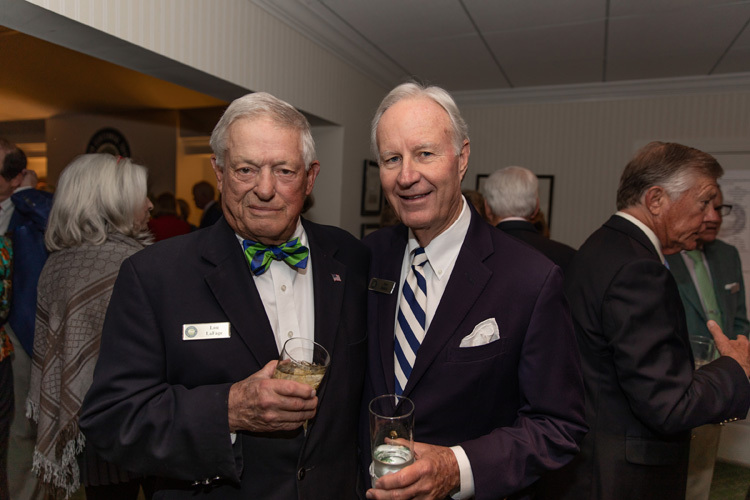 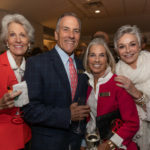 Riomar Country Club members said “Cheers!” to another 100 years as they gathered to celebrate their centenary at a Centennial Season Opening Dinner last Saturday evening. 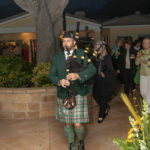 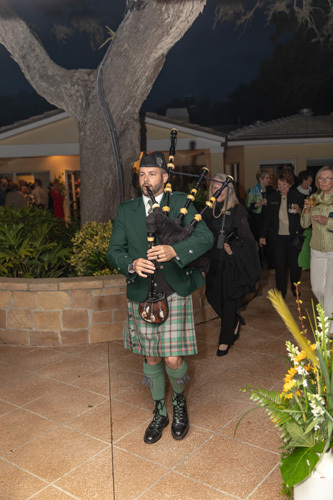 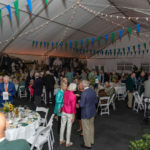 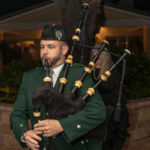 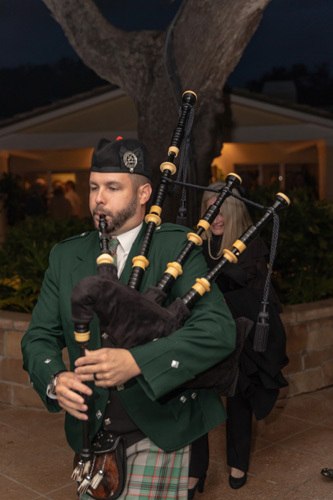 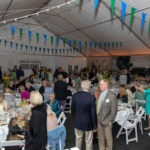 After enjoying cocktails in the clubhouse, bagpiper Jacob Craig led the crowd down a covered walkway to festivities on the green, where a tent of grand proportions held the 340 guests. 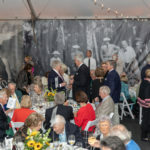 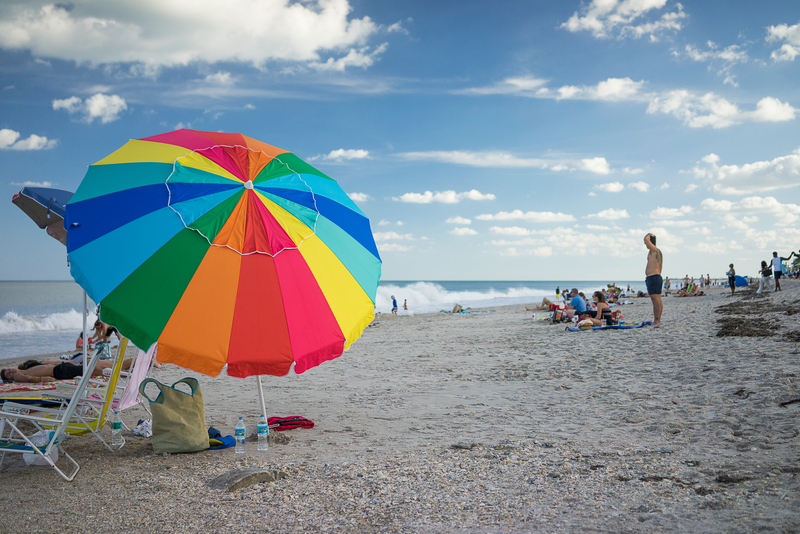 Pennant flags billowed in the breeze while poster-size photographs of bygone days graced the walls of the tent. 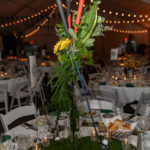 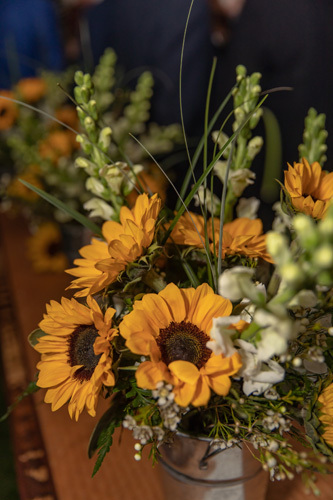 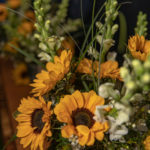 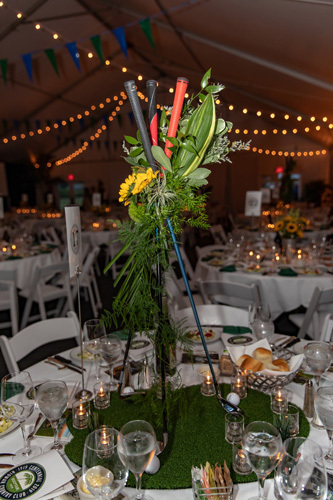 Tables adorned with sunflowers and golf clubs invited guests to “tee up” for a delicious meal inspired by the Riomar Centennial Cookbook. 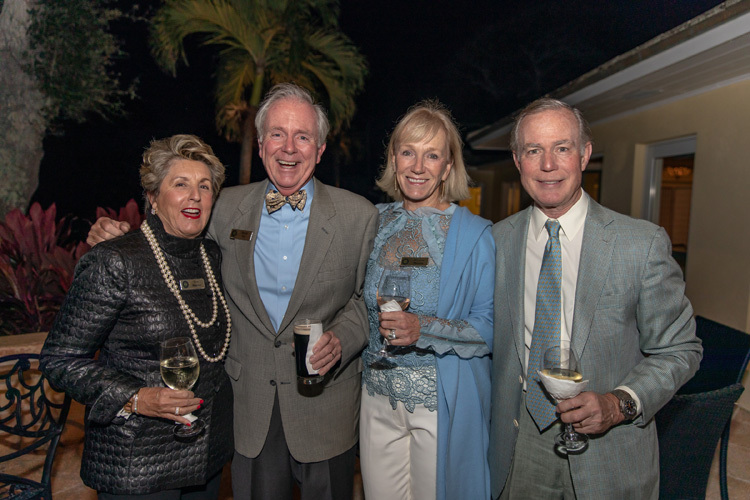 In a fitting tribute, centenarians John Hardy and Barbara McPherson reigned supreme over the celebration, after being crowned Riomar’s King and Queen. 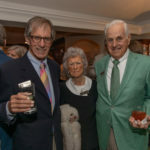 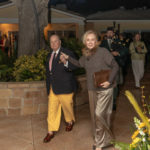 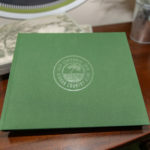 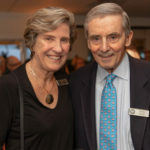 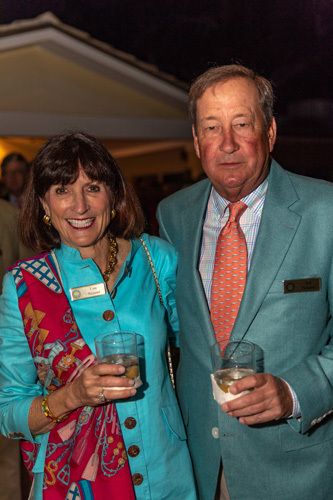 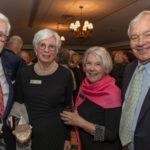 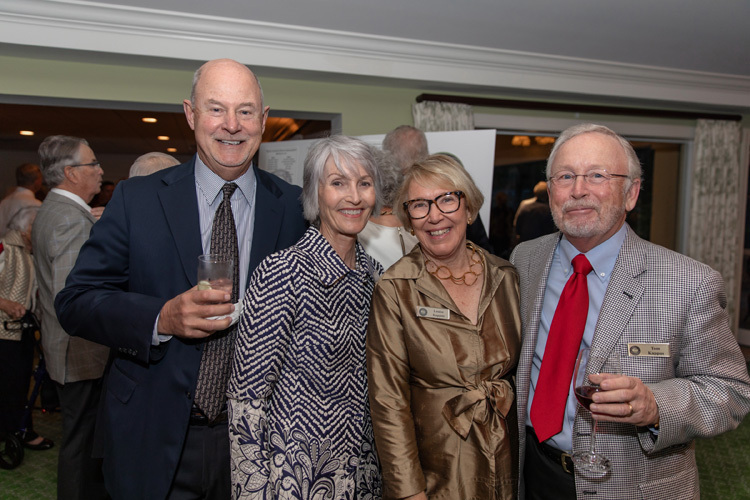 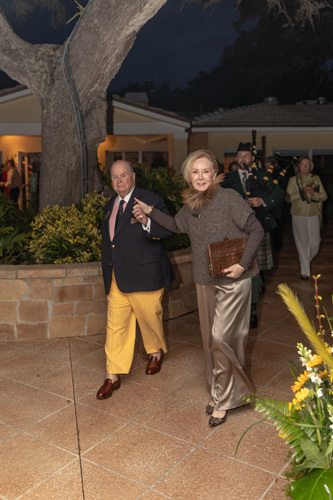 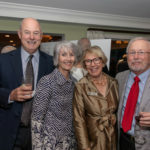 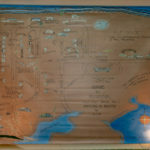 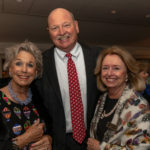 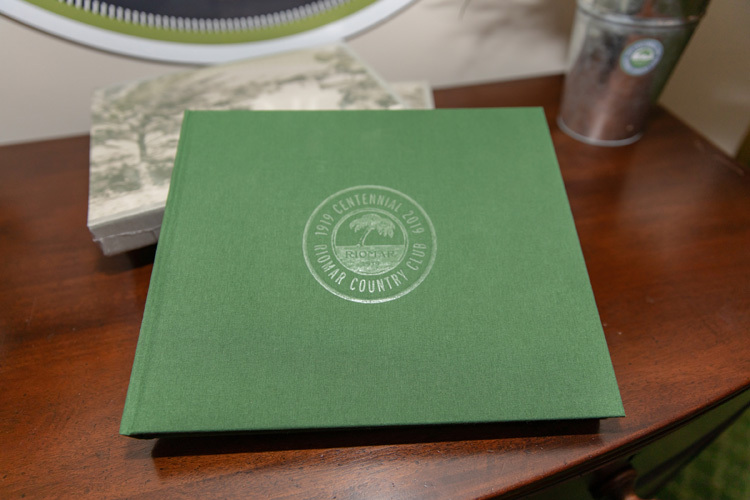 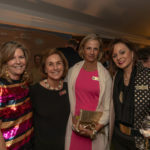 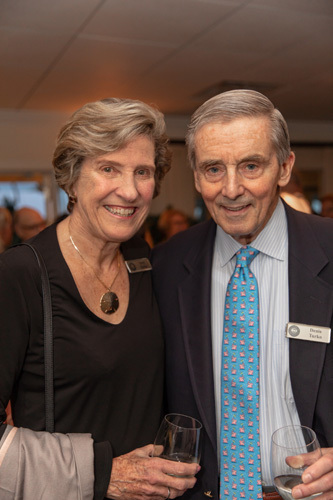 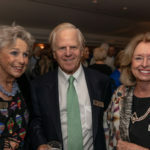 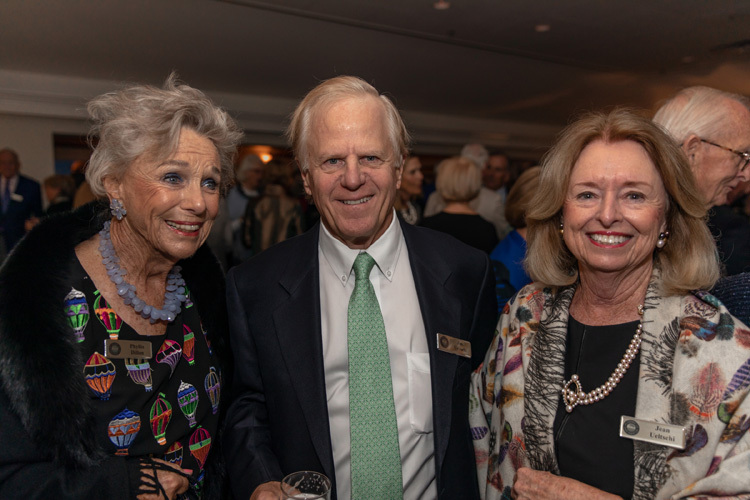 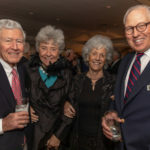 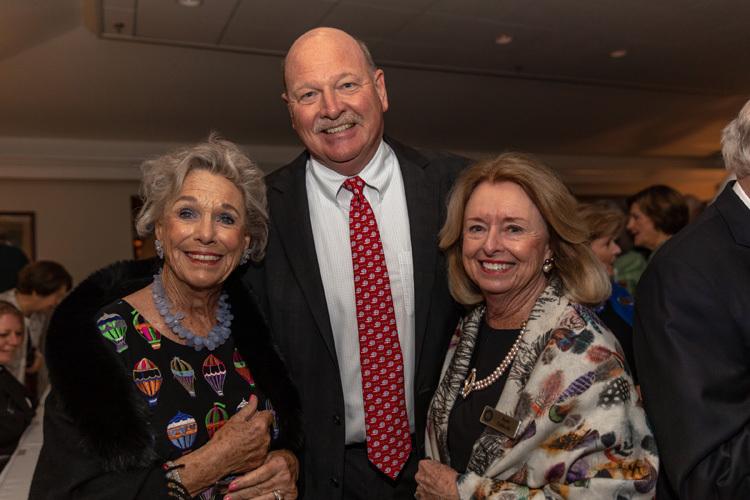 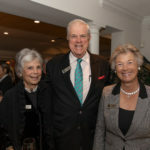 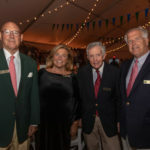 McConnell and Debbi Peniston spearheaded the production of the book, “Riomar Country Club: A Centennial History,” written by Peter Coveney and Karen Salsgiver, who gave a presentation on the making of the book during dinner. 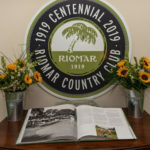 “Riomar – the river and the sea – the name founding member Winchester Fitch bestowed in 1919, was the inspiration and centerpiece of the centennial identity,” Salsgiver told the crowd. 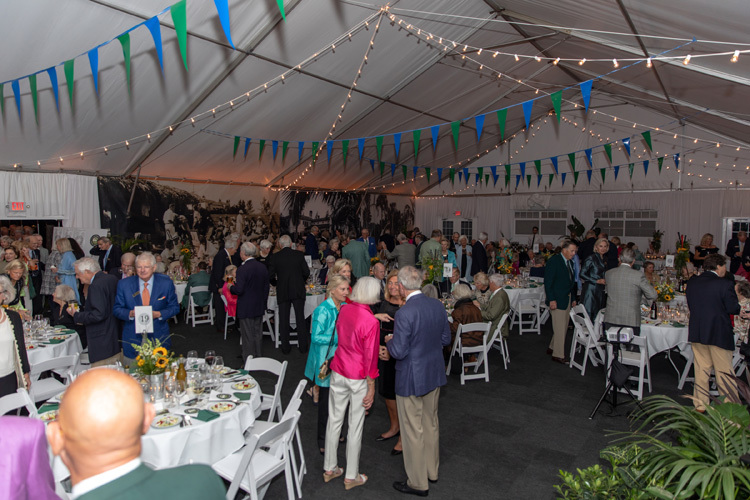 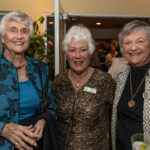 Club members will centuplicate their festivities throughout the year, concluding with a Centennial Jubilee Closing Dinner and Golf Razzmatazz April 6 and 7. 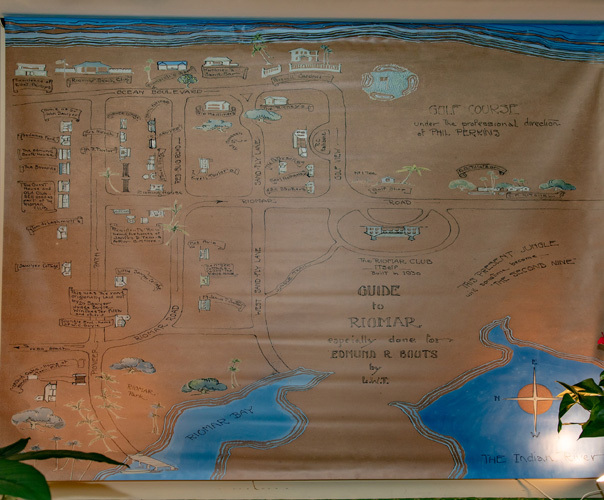 Afterward, members will say goodbye to the current clubhouse. 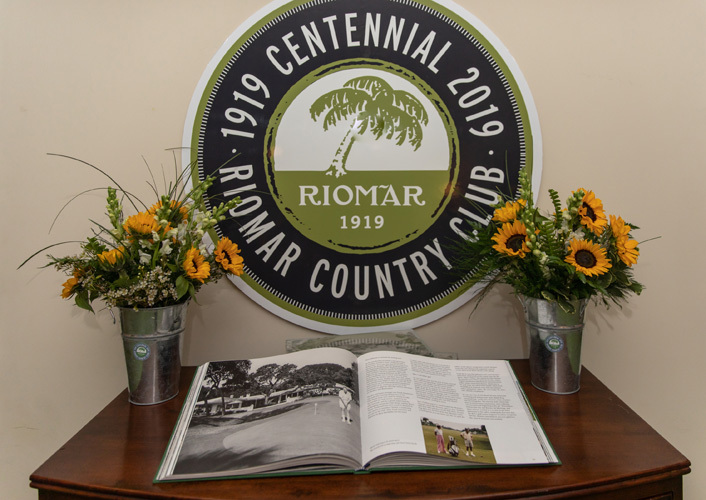 Planned construction on a new facility will carry on the traditions and values of Riomar past and present through to the next century.